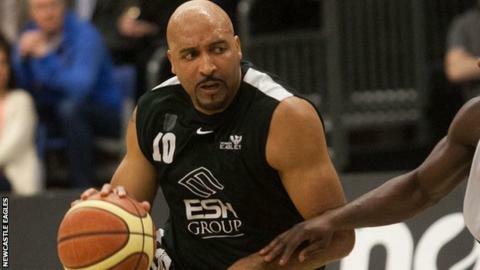 Newcastle Eagles won the BBL Cup for the first time in three years by beating Glasgow Rocks 84-71. Charles Smith led the scorers with 21 points and Andre Jones added 17 as Eagles won an 18th title in 10 years. JaJuan Smith scored 17 points for Rocks and Kieron Achara added 16 as the the Scottish side came up short in a final for the eighth time since 2003. Earlier, Sheffield Hatters became the WBBL Trophy's first winners, beating league leaders Nottingham 76-62. Great Britain forward Steph Gandy scored nine of her 27 points in the second quarter to give Sheffield a 36-25 grip on the game at the interval. Nottingham, led by Carmen Reynolds' 30 points, could make little impact on the deficit in the second half as the Hatters held out to win by 14 points.